The exposure of Iran-related terrorist networks in Europe has been extremely alarming. It seems that the European governments are now aware of the mullahs’ terrorist threats. The time to turn a blind eye on the destructive role of the mullahs’ spy nests is over. It is not a secret that the Iranian regime has abused its embassies to mastermind terrorist conspiracies. For decades, the Iranian regime has been known as the state-sponsor of terrorism. Latest incidents in Europe revealed the regime’s shameless misuse of embassies more than ever. 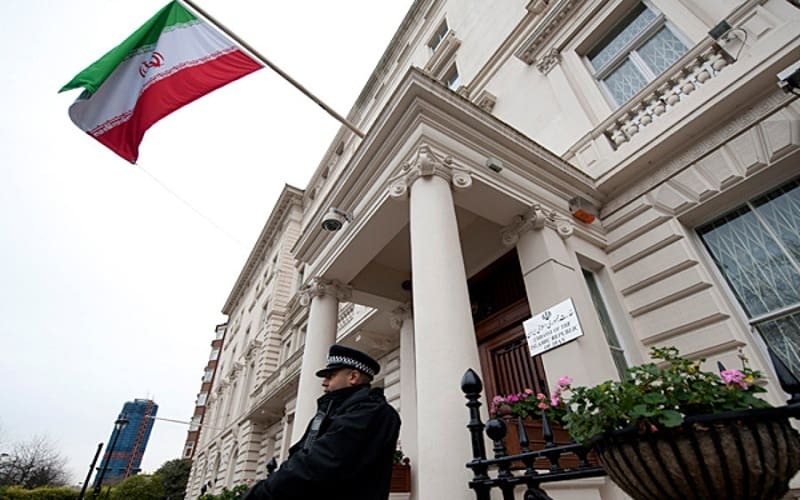 Though an embassy, as the diplomatic representative of a country, is to establish relations, the regime has turned its embassies to mullahs’ spy nests. At a glance, any impartial observer can find the footprint of mullahs’ spy nests in the regime’s terror plots abroad. Published evidence prove the involvement of the mullahs’ spy nests in the AMIA Bombing in Buenos Aires, the assassination of Dr. Kazem Rajavi in Vienna and Mohammad Hossein Naghdi in Rome. The footprint is also evident at the kidnapping and the terror of some prominent figures of the Iranian opposition in Turkey. Foiled terror plots in France and Denmark too, clearly show the role of the mullahs’ spy nests. “We have seen that no more profoundly than over the last months, where multiple European countries publicly decried Iranian attempts to murder dissidents on their own soil. The Danish allegations came just days after the French government accused Iranian intelligence of plotting a bomb attack on an Iranian opposition rally in Paris in June. In this plot, a Belgian husband and wife of Iranian origin were arrested along with a high ranking Iranian diplomat in Austria. Nowadays, the role of the MEK in organizing nationwide strikes is well admitted by the regime’s official media. “Unable to restrain resistance units at home”, the regime is compelled to take action against its arch-enemy (MEK) abroad as its only way of survival. The mullahs’ spy nests are tasked to assassinate dissidents, especially the MEK members, at any price. Physical and character assassinations are on their agenda. A look at Iran’s foreign media lobbies is the proof. It is worth reminding that terrorism and warmongering are the core traits of the theocratic regime ruling Iran. Thus, it is wrong to expect the regime’s embassies and consulates not to be the mullahs’ spy nests. A while ago, on the World Day against the Death Penalty, Mrs. Maryam Rajavi, the president-elect of NCRI, addressed a message to the participants in a conference at the District 5 Municipality of Paris.